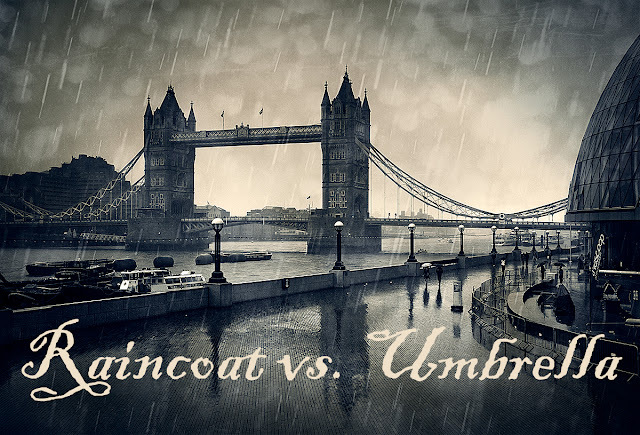 GatsbyLifestyle: The Debate - Round 8: Raincoat vs. Umbrella. The Debate - Round 8: Raincoat vs. Umbrella. The point about mentioning the route is that Jim tells me the wind whistling up the Thames precludes the possibility of putting up an umbrella. Strangely, I am first going to recommend you question your preconceptions’ and ask the real question. To anyone who questions people who use an umbrella while it's both rainy and windy: you may understand that they don't want to get wet. You may understand that they are carrying groceries or are talking on their iPhone. You may not however understand why they won't wear a smart raincoat instead? While a brolly serves a practical purpose in the rain, it does not serve any purpose in the wind. Ever since rain and wind oftentimes come together, this not-so-surprising combination can render a parasol useless. 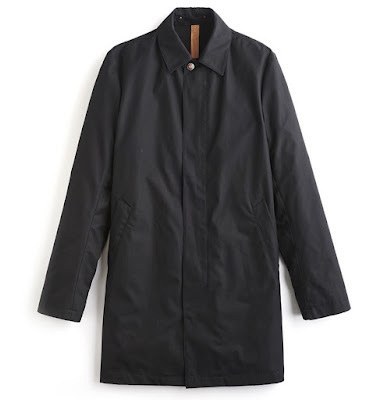 It hasn’t always been an option; it wasn’t until World War One, when the British War Office put out a request for a less cumbersome officer’s coat, that the raincoat as we know it came to be. By the ’20s it had hit the streets, so to speak, as soldiers came off the front lines bringing their favourite coat with them. The trench’s prominent details made it a choice for the boldly-dressed man, but it wasn’t until mid-century that the raincoat reached iconic status on the silver screen. 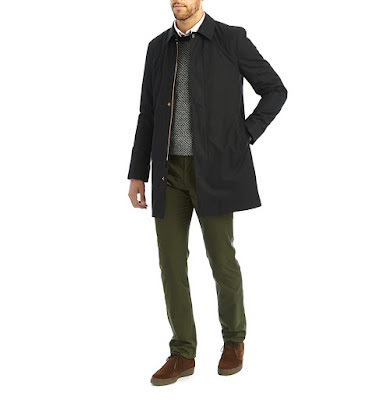 Humphrey Bogart, Alain Delon, Steve McQueen... all these men were frequent advocates of the raincoat, (and amplified the air of confidence that accompanies the coat today). If you are veering towards the non-umbrella brigade we recommend the Private White V.C. (hand made in England) classic Ventile. The outer fabric of this coat is made from 100% cotton Ventile®, a signature Private White V.C. fabric, developed locally and with roots in World War Two and the British Military. This resilient high-performance fabric has stood the test of time are they are proud to use it in their garments today. Some would argue that no real man would ever use, or even be seen carrying an umbrella. The Duke of Wellington was astonished when in 1913 Bayonne, officers of the Guards put up their umbrellas because it was raining. But the guards loved their umbrellas and eventually a tightly furled umbrella became part of the guards’ town and civilian uniform. For those you who come to realise that the fore mentioned Guards had a point (please excuse the pun) there comes a time in every man's life when he recognises the need for a proper umbrella - usually just after his cut-price compact has blown inside-out. 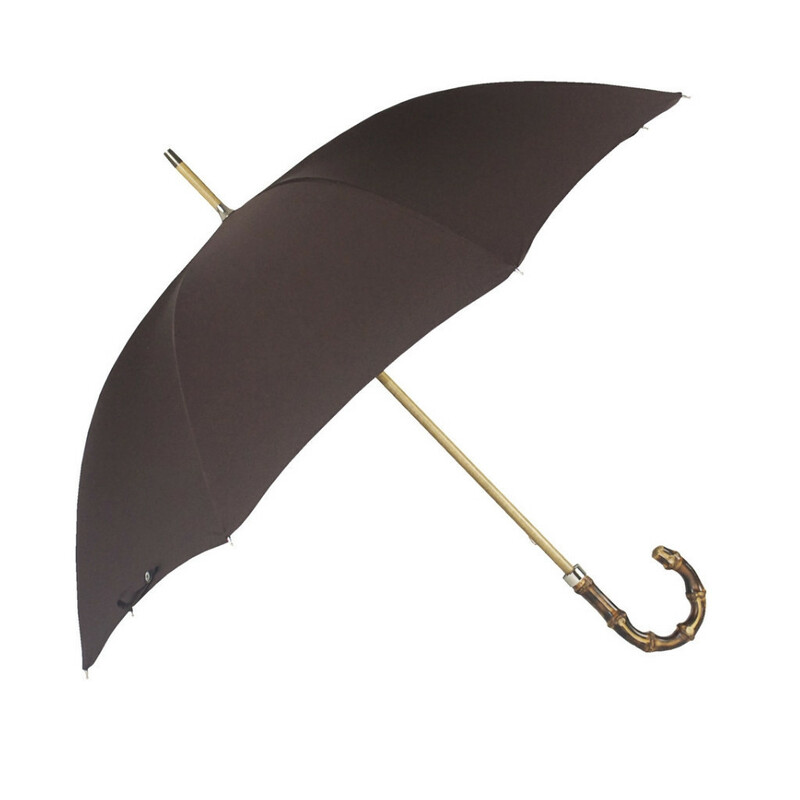 Mr Stanfords’ Umbrellas are designed and handmade in England. After years of living in South East Asia, unable to find an umbrella that would stand up to the tropical monsoon and still look good. Mr Stanford decided to make his own, if you need any more convincing how cool a brolley can look when handed corectly we have inserted some inspiration for you. So the question remains; we may not have all the answers but with Gatsby’s help you will be dry and looking pretty sharp next time you are caught in the rain.